Nolan Price scanned the fields of newly budding greenery that stretched as far as he could see and slowly inhaled the scent of grass, soil, and freshly spread manure. Warmth curled through his chest with a feeling of such intense satisfaction that he wished he could ring the village bell to let everyone know of his joy. 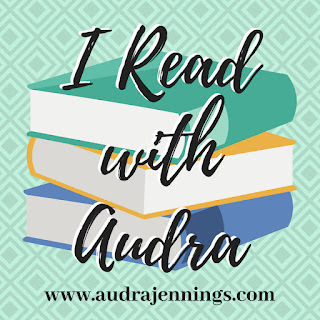 A Most Noble Heir is an engaging page-turner that I highly recommend if you are looking for a good story to escape into. The reason I chose this book to showcase this week is because of Edward, Earl of Stainsby (Nolan’s father). At the beginning of this book, Edward is lion. He is mean, cold, and gruff. He often roars orders at his servants, and expects all to bend to his will. He reminds me of Beast from Beauty and the Beast. But, by the end of the story, Edward transforms into a lamb. Edward’s story is actually my favorite part of A Most Noble Heir! 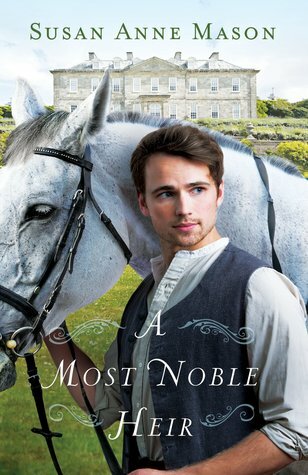 Check back tomorrow for my full review of A Most Noble Heir. If my review isn’t enough to tempt you back, I will have news regarding TWO giveaways for this book. LOL! I’ve looked at this book several times, but haven’t purchased it yet. I think I will after reading your post. The book I’m featuring on my blog this week is Love on the Mend by Karen Witemeyer. I love all the books I’ve read of hers. Here, I will share the first line of chapter 17 from the book I’m currently reading, The Social Tutor by Sally Britton. “Thomas waited for her arrival, this time on Christine’s side of the brook, his breath turning to fog in the cold air.” Wishing you a wonderful weekend. Happy Saturday Nicole! Hope you are enjoying all your lovely reads. Thanks! I hope you are, too! And having fun with your daughter. Mine is sitting by the fire “reading” her Bible. Melts my heart! Daughters are the best! I wasn’t able to make my usual rounds this past Friday… so I’m making them now! 🙂 This was quite the enjoyable story! Great first line! My parents were in town visiting for the weekend (they live 12 hours away). It was nice to get to spend time with them! Yay! I’m glad you had a nice visit. I hope you got the chance to enter the giveaway on my blog for Three Words and A Kiss!! I just checked, and you did enter! You can earn an extra entry daily by tweeting via the raffle form. If you like!